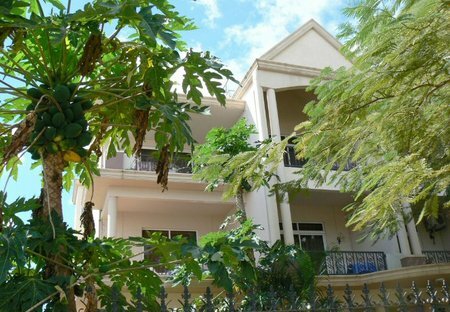 Rent villas and apartments in Trou Aux Biches, Mauritius with swimming pools. Book affordable holiday rentals that are near a beach and golf course. 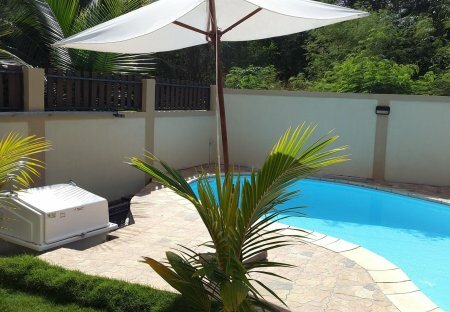 This 6 bedroom villa with swimming pool is located in Trou Aux Biches and sleeps 12 people. It has WiFi, a garden and barbeque facilities. This property is 2 minutes walk from the beach. Located opposite the beach in Trou aux Biches, Elysee Residence offers self-catering apartments, a restaurant and an outdoor pool. An apartment in Trou aux Biches consists of 2 AC bedroom en suite with private bathroom and toilet . A well equipped kitchen , dining room , veranda and the balcony overview the sea .